Gaels for Life is a Christ-centered community within Iona Prep. We believe in the dignity of every human person from the moment of conception to natural death. Our goal is to promote, defend, and pray for all stages of life. Our first initiative is going to be a baby shower coordinated with the Sisters of Life, who support moms in crisis pregnancies. The 2019 spring season begins soon for our student-athletes and our coaching staffs want to make sure everyone is ready for their respective season. Below is additional information about tryout and practice schedules. If the old adage that "the best offense is a good defense" holds any water, then the varsity football offense just got a whole lot more prolific as former longtime coaches Victor Quirolo and Felix Petrillo LS'85, US'89 are returning to the Gridiron Gaels sideline as defensive coordinator and defensive tackles coach, respectively. The move gives Iona Preparatory one of the most experienced and decorated coaching staffs in the Catholic High School Football League (CHSFL) and greater metropolitan area. It was a joyous ceremony when Jordon Gyapong of Mount Vernon, a 17-year-old senior at Iona Preparatory School, was presented with the “Youth Virtues, Valor and Vision Award” on Jan. 30 during Catholic Schools Week for his selfless service and dedication to changing the world. Twelve more Iona Preparatory School scholar-athletes committed to play collegiate sports today as part of the latest National Signing Day. In a proud, ESPN-style event that was broadcast on LocalLive from Iona Preparatory School’s Tully Gymnasium and covered by local media, these Gaels joined 12 other Iona Prep scholar-athletes who had previously signed, bringing Iona Prep’s total to 24 so far this school year. Family, friends, classmates and coaches cheered on in celebration. 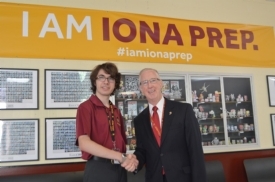 In another first for Westchester’s preeminent all-boys Catholic school, Iona Preparatory Upper School has launched a new House System – a move that further enhances how the 101-year-old private/prep school continues to develop young men into leaders of tomorrow. For the third year in a row, the Iona Preparatory “Plungers” have been named the top team in all of New York State for their fundraising efforts as part of the Special Olympics Polar Plunge. The Gaels raised $46,000 at the 10th annual Westchester Polar Plunge, with more than 100 students jumping into frigid waters at Glen Island Park on November 17, 2018. 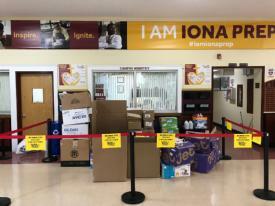 Iona Preparatory School will once again host the New York Blood Center on Tuesday, Feb. 5, for its annual blood drive from 8:30 a.m. until 1:30 p.m. in the Heffernan Gymnasium. The drive is open to all students and faculty; alumni and parents are most welcome, as well. Click this post for the under 17 parental permission form. Get an early start on excellence when Iona Preparatory Lower School hosts two information sessions for prospective students entering pre-kindergarten through seventh grade on Thursday, February 7 at 9 a.m. and 7 p.m. Information sessions are a great opportunity for prospective students and families to meet faculty, get questions answered, and tour the Lower School's new “makerspace” and technology upgrades in the Devin Library & Center for Excellence. USA TODAY High School Sports announced the 2018 American Family Insurance ALL-USA New York Football Team. Players were selected based on their athletic achievements from the 2018-19 season. In a thrilling 65-52 victory at the Westchester County Center, the varsity basketball team captured their fourth Slam Dunk Championship. Advent is a time of preparation, and our boys and young men have been preparing for Dec. 20 for some time. Join them for one of two events Dec. 20 at 7 p.m. - the annual Lower School Christmas Pageant, or the Upper School Winter Arts Night. 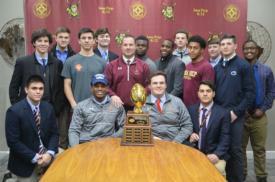 Iona Preparatory School’s Sean Fleming LS'15, US'19 and Matt Panker '19 signed Letters of Intent to play collegiate football as part of National Signing Day on Dec. 19, 2018. This was the first event at which high school football players could commit to college teams, bringing Iona Preparatory’s total commitments to 12 so far this year, including nine Division I programs. Iona Preparatory’s Human Rights Club will be selling various ethical trade items from around the globe in support of Catholic Relief Services (CRS) during lunch periods on Dec. 10-11. Ten Iona Preparatory School scholar-athletes committed to playing a sport in college – including 8 Division I National Letter of Intent signees – as part of the school year’s first National Signing Day on Nov. 14. Iona Preparatory Lower School celebrated the official opening of the Devlin Library & Center for Excellence on Monday, hosting a ribbon cutting with educators, parents and supporters to usher in a new chapter for its boys in grades Pre-Kindergarten through 8th grade. Iona Preparatory School invites students and parents to discover the Iona Prep difference during a series of Open Houses and “Gael for a Day” shadow experiences. Open Houses for prospective Upper School students and parents will be held Sunday, Oct. 21, from 12-3 p.m., and Wednesday, Oct. 24, from 6-8 p.m. The Lower School Open House will take place on Thursday, Oct. 25, from 6-8 p.m. for grades PK-4-8. Varsity football coach Joseph Spagnolo '98 was on with 98.7-FM ESPN New York's Mike Quick and his High School Football Report on Sept. 22, hours before the Gaels would race out to a 24-point lead and then hang on to defeat Cardinal Hayes 51-48 for a 3-0 start. The segment started with senior Jimaar Edwards, who was named 98.7-FM's High School Player of the Week. Iona Preparatory School recently hosted its first-ever Advocacy Fair, connecting students with over a dozen nonprofit organizations and providing an opportunity not just for students to volunteer, but to take the lead on key advocacy initiatives for the year. Junior Michael DeStasio set a personal best of 13:52 in winning the 11th-grade race at the 41st Annual Regis Invitational on Sept. 15 at Van Cortlandt Park with the 20th fastest time by a junior in school history. It truly was, as Athletic Director Bernard Mahoney is fond of saying, "a great day to be a Gael." The JV got things started with a 42-6 victory over the Crusaders in the morning and then, in its home opener, varsity capped an epic comeback in overtime with a touchdown and two-point conversion, followed by key defensive stop for a 36-34 win. Our sports teams log long hours in the summer, conditioning and weight room sessions, so that they look the part once their respective seasons start. Thanks to our ongoing partnerships with Under Armour and Metro Team Outfitters, you can now look the part with a click of your mouse or tap of your finger. There’s nothing like the thrill of being at the big game. But if you just can’t make it out to cheer for your favorite Iona Prep Gael, you’ll never have to miss a play again thanks to a new online streaming service—LocalLive. Simply log on to locallive.tv/ionaprep to access Iona Prep events live or on demand, available for free 24/7. Casual dress: shorts, tee shirt, sneakers. It is with immense sadness that we must share news of the passing of an Iona Preparatory legend, Mrs. Mary Louise Verni P'80,'81,'85, GP'08,'13,'14, who died July 28. She was 79. 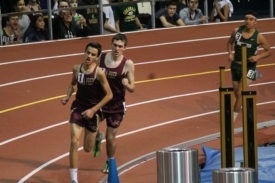 A week after winning the Westchester County Championship by more than doubling the runner-up's total, the track and field team became Catholic State champions by a single point on the final race of the meet. It was the Gaels' first outdoor title since 1987. With the hammer throw and steeplechase still on the horizon, Iona Prep's track and field team had already tallied a pair of county titlists and built a nearly insurmountable lead en route to becoming Westchester County Champions. When all was ran and thrown, the Gaels had recorded a third individual champion and 22 total scorers. Iona Preparatory continues to be the home of champions, and that moniker isn't limited to the playing fields. The Gaels' Algebra 2 Math Team is currently the best in the country, with eleven students among the top 40, including national champion Minheng "Kevin" Gong. Alumnus John Vitale '07 was recently named a 2018 Westchester Wunderkind by Westchester Magazine, which highlighted 22 under-30 superstars in area businesses. The weather is heating and the Verni is rocking out! That could only mean it's time for Iona Preparatory's annual Spring Arts Night on Friday, May 11. Featuring performances by the Jazz and Rock Ensembles and Chamber Music Group, as well as a gallery of student artwork, the show gets underway at 6:30 p.m. in the Tully Gymnasium and admission is FREE! It's a great day to be a Gael! We look forward to showing our newest families that mantra personally on Wednesday, May 2, for our Freshman Family Orientation for the Class of 2022. The evening gets underway at 7 and attire is casual. Kindly click for the link to register. Second year safety Darian Thompson of the New York Giants will meet and great our Gaels and dads during the annual Father-Son Breakfast at the Upper School on Sunday, April 15. The day begins with Mass at 9:30 in the Tully Gymnasium, followed by a breakfast and keynote, all sponsored by the Lower School Fathers' Club. With a financial services career spanning more than 30 years, alumnus Barry Mitchell, Jr. '83, P'17,'21 was recently ranked the No. 17 wealth advisor in New York State according to Forbes. He was appointed a managing director in 2016, the highest rank a financial advisor can attain within UBS, and is currently a senior portfolio manager in the UBS Portfolio Management Program, overseeing $500 million in assets. The Iona Preparatory Fathers' Council is calling all seventh-grade math students and teams for the 29th annual Math Olympiad on Saturday, May 12. This perennial mathematical showdown goes down in two rounds, one individual and one team. Registration and participation is free. More than 300 Upper School students chose to participate in a memorial service on Wellington T. Mara Field March 14 for the 17 victims of the mass shooting at Marjory Stoneman Douglas High School in Parkland, Fla. Similarly, at the Lower School, seventh grade pupils gathered outside around the Celtic cross to pray 17 Hail Marys, one for each Marjory Stoneman victim. These actions were part of a student-driven initiative to, rather than take a political stance or stage a protest, stand in solidarity with the victims of violence. Following widespread power outages and two nor'easters, preparedness is certainly the word of the day. 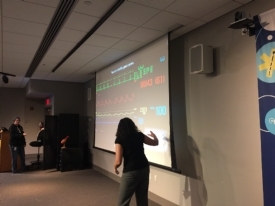 For School Social Worker Nancy Kessler and the Pelham-based Project Community, Inc., preparedness is also the most effective resource for teens when dealing with instances of binge drinking. Because life isn't always kind; you can't hit rewind on certain decisions. The piercing images still haunt recesses of the mind. Omran Daqneesh, bloodied and caked with dust, waiting alone to be treated in an Aleppo ambulance. Yet the images keep on coming out of Iraq, Syria and other places under constant threat of civil war and ISIS agitation. On Wednesday, Feb. 28, members of our Human Rights Club invite you to join them in watching some of these images, and then partake in a Q&A with the filmmaker activist. They say a picture is worth 1,000 words. In the case of Richard Salerno's Advanced Placement (AP) Government classes, it'll probably be worth a couple million in academic scholarships to colleges and universities across the country. That's because it's a photo of 25 scholar-athletes from Mr. Salerno AP Gov't courses, which is enough to constitute a full class by themselves before you add in the six gentlemen not pictured. Iona Preparatory School was saddened to learn that former headmaster Brother Harold Michael Delaney, who came to New Rochelle when the school made its fifth and final move from North Avenue to the corner of Stratton and Wilmot Roads, died on Feb. 13 at St. Joseph's Care Residence. He was 94. Ten Iona Preparatory scholar-athletes have announced their commitments to play college football for the upcoming 2018-19 season, including five Division I programs. 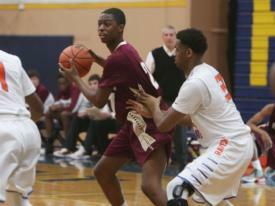 This puts Iona Prep at the top of Westchester County schools both in terms of Division I and overall commitments. The grappling Gaels fell just 5.5 points short of a Catholic State Championship Feb. 10-11, finishing second in its division while placing seven of 22 wrestlers. Senior Colin Realbuto was crowned the 138-pound champion and named the tournament's Most Outstanding Wrestler. Between them is more than a century of school counseling experience and a cadre of advanced degrees. If you have a problem. If there's a particular school you want to get into. If you just want to talk. Maybe you should get to know the eight members of our amazing School Counseling team! The Iona Preparatory wrestling team hosted the Catholic High School Athletic Association's (CHSAA) Divisional Tournament on Feb. 3, qualifying a team-best 23 grapplers for the CHSAA Championships and notching four individual titlists, while coming in second overall. More than 100 Iona men came together under the leadership of English teacher and moderator Mrs. Patricia Gray to raise money for the 9th annual Westchester Polar Plunge on Nov. 18 at Glen Island Park. On Jan. 23, the Iona Prep Plungers were presented with their third consecutive "Cool School Challenge" trophy and, for the second straight year, were the top fundraising team in all of New York State. It's January. It's cold. And if you had a fever...the only prescription might just have been heading out to the Paramount Hudson Valley Theater Jan. 19 to see alumnus, parent and coach Artie Tobia '82, P'16,'18 open for legendary hard rock band Blue Oyster Cult. Hailing from a legacy of great local wrestlers, senior Colin Realbuto rewrote his own chapter of the family annals on Jan. 6 at the 54th annual Murphy-Guccione Shoreline Classic at New Rochelle High School, taking home top honors in the 138-pound weight class with an 11-0 major decision in the final and recording his 100th career victory. Two consecutive snow days followed by an arctic chill to start the yew year can only mean one thing -- it's time for baseball! The 2016 City Champion and 2017 City Finalist varsity baseball team is happy to oblige with a FREE clinic for seventh and eighth graders this Saturday, Jan. 13, at Iona Preparatory Upper School. Bryan Adams sang that "there's something about Christmas time," and while it can't "be Christmas everyday," for one evening at least the Lower and Upper Schools will transport you with a night of art, drama, performance and pageantry. Grades K-5 will perform in the annual Lower School Christmas Pageant at 7 p.m., featuring a nativity reenactment and performances by the bell choir and chorus. Meanwhile, the Upper School's Winter Arts Night will have gotten underway at 6:30 p.m. with performances by the Jazz and Rock Ensembles, Chamber Music, Prep Players and Forensics team. 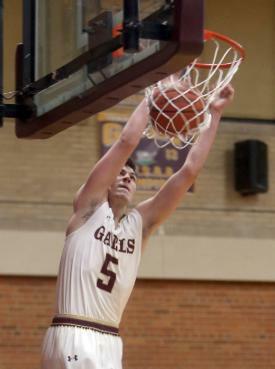 For the third time since the inception of The Journal News' #Super7 preseason selections in the mid-2000s, the Iona Preparatory basketball team has taken three of the top 7 spots. Seniors Joshua Alexander, Souleymane Koureissi and Bryce Wills were all named to the list when LoHud made its announcement last week. Fresh off a successful Thanksgiving Food Drive that saw more than 750 boxes and cans of non-perishables, as well as more than 1,400 pounds of turkey, 250 pounds of onions and 200 pounds of potatoes be delivered to food pantries at St. Mark the Evangelist and St. Charles Borromeo in Harlem, the Iona Prep community is back in the giving spirit. This month, the annual Giving Tree initiative at the Lower School and Student-Faculty Council Toy Drive at the Upper School are in full effect. 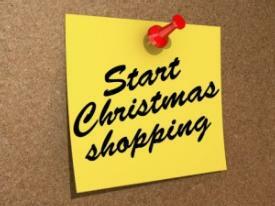 December undoubtedly kicks off a whirlwind of gift-giving worries. Never fear, the Iona Prep Mothers' Auxiliaries at the Lower and Upper Schools have Christmas Boutiques scheduled for Dec. 1 and 2 that are sure to put you in the Christmas spirit, as well as help you get some of that pesky shopping done! Over the last half decade, Iona Preparatory School has sent more than 100 student-athletes on to compete at the collegiate level, at some of the most prestigious colleges and universities across the nation. That trend continued during the National Letter of Intent (NLI) earning signing period on Nov. 8, when eight more Gaels committed to continuing their academic and athletic careers at the next level. It's been a season of accolades for the cross-country team. Coming off a Sophomore State Intersectional Championship, the first in school history, the Gaels finished second at the Westchester Country Championships and then qualified for the Federation Championships for the first time in nearly 20 years. Former Gaels track and field coach Fiona Nugent picked a somewhat fortuitous week to return to the Prep when she spoke to Mr. Christopher Scarella's sophomore health classes on Oct. 10 about injury prevention. It was the Tuesday following the New York Giants 27-22 loss to the San Diego Chargers, a game in which the hometown favorites also lost four wide receivers to injury, including the electric Odell Beckham, Jr. While it may not be the legendary Turkey Bowl of lore, when the gridiron Gaels would do epic battle against the Huguenots of New Rochelle, what could be better than a morning of pigskin with dad at your school? Exactly, so join the Lower School Fathers' Club for the annual dads vs. sons, two-hand touch football game Thanksgiving morning on Mara Field. Alumni, current students and families of both the Lower and Upper Schools are invited to partake in the Turkey Day festivities. What better to take you out of your turkey tryptophan haze than a night of Gaels basketball in support of hurricane relief efforts in Puerto Rico. On Friday, Nov. 24, our basketball program will do just that with an entertaining evening of Maroon & Gold scrimmages, a three-point contest, slam dunk contest and skills competition with fan interaction. There will be lots of surprises and plenty of prizes, and be sure to bring your donations of cash, clothing and canned goods for the good people of Puerto Rico. 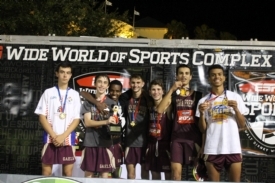 The Upper Campus cross-country team has been providing as many thrills of late as the theme parks at which it has competed. Heading into the CHSAA Sophomore Sectional Championships on Oct. 11 and the Manhattan College Invitational on Oct. 14, the largest meet in the nation that draws more than 10,000 runners, the Gaels are riding an unprecedented string of top finishes at the seventh annual Six Flags Wild Safari Invitational on Sept. 30 and 21st annual Disney Cross Country Classic Oct. 6-7 at the ESPN Wide World of Sports Complex. Don't let the Columbus Day humidity fool you! 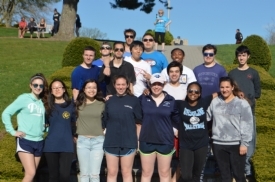 The Iona Prep Plungers team will be defending its "Cool School" Challenge title on Saturday, Nov. 18, at Glen Island Park. While we don't yet know if the Long Island Sound will be frozen, our boys are ready to be #FreezinForAReason in defense of their 2015 and 2016 titles! At least one New York team went into Philly this past Sunday and returned with a victory. 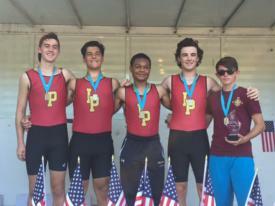 The Iona Prep Varsity 4+ boat of Nicholas Calbo '19, Caleb Donnelly '18, Owen O'Meara '18, Dewayne Sealy II '19 and Joseph Kramer '18 as coxswain won gold and the Hudson Boatworks trophy at the King's Head Regatta on Sept. 24. Boys are disengaging and under-performing at an alarming rates across the country. Fortunately, this is not happening everywhere. Iona Preparatory's Lower Campus is pleased to present "Understanding Boys, the Art and Science of Inspiring Boys and Building Men" on Thursday, Oct. 5, at 7 p.m. at the Stratton Road campus. 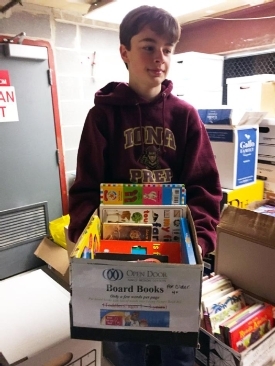 Iona Preparatory Upper School junior Conor Lane, of Bedford, N.Y., is coordinating relief efforts with the school’s Leadership Program to provide basic necessities to the residents of Texas and Florida following the hurricanes of the past few weeks. Students will be collecting items such as diapers, soap, toothbrushes and deodorant through Saturday, Sept. 16. That afternoon, students will package and load all of the collected items onto a truck procured by Conor, which will then be driven directly to Texas and Florida for distribution. If you had Upper School social studies teacher Daniel Poccia for astronomy, you can probably still recall lugging telescopes out to the Verni Center or athletic field to study the sun and cosmos. 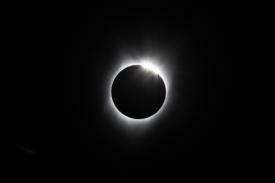 During the Aug. 21 solar eclipse, and event that won't happen again for another seven years, Mr. Poccia traveled to the west coast for the view of a lifetime. Iona Preparatory School K-12 is excited to welcome Karl Boswick to its athletic department as the new varsity coach and looks forward to watching the hockey program continue to be one of the best in the tristate area. Coach Boswick and his staff are eager to work with our student-athletes and can't wait for the 2017-2018 hockey season. 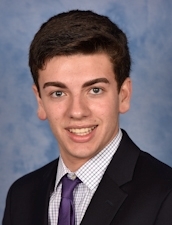 Duke University-bound senior Robert Baldoni, Jr. added to his growing list of accolades in winning the Enrico Fermi Science Award on May 6. The award is for students who have done exceptionally well in the area of science and are pursuing a major in the field. Alberto DeAngelis US'16 won a similar Enrico Fermi award last year. 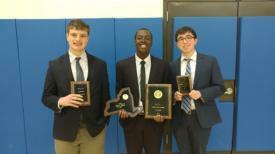 We have a New York State Forensic League Champion, and his name is Noah Darden LS'14, US'18. The junior finished first at the State Championship Tournament April 29-30 at Hofstra University in the Original Oratory category, as well as second in the state in Varsity Reading. Alumni, parents and community members are invited to join the Iona Preparatory community on Thursday, May 4, at 7 p.m. in the Tully Gymnasium for its annual Spring Arts Night. The evening will feature performances by the Jazz Ensemble, Rock Ensemble, Chamber Music Group and solo performances, as well as artwork from more than 100 students. The Student-Faculty Council Wellness Committee will host its annual "Stride to Save Lives" Walk-A-Thon this Saturday, April 29, from 3 - 5 p.m. to benefit the Lexington Center for Recovery in New Rochelle. Taking place at Wellington T. Mara Field, the walk is yet another way the Wellness Committee is aiding the local program for recovering mothers and their preschool children. Former Iona Preparatory pole vaulter and Con Edison award winner Matthew Fay US'15, who at one point in his Gael career was ranked No. 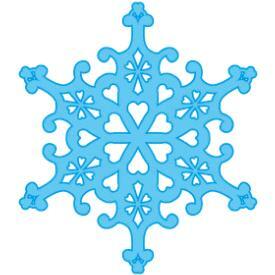 2 in all of New York, recently shattered a 17-year-old record at Bucknell University. Beatles tribute band Strawberry Fields, New York Rat Pack, Alive & Kickin', The Fellas, Jackie DiMaggio, and the Bellaires, will be taking Iona Preparatory Upper School by musical force on Saturday, April 29, for a 7 p.m. fundraiser to benefit the football program. Part of the proud tradition of the annual Father-Son Breakfast at Iona Preparatory School K-12 is breaking bread with a true Giant among Iona men. 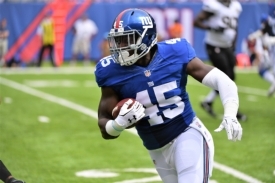 This year will be no different, as the Lower School Fathers' Club is pleased to welcome New York Giants tight end Will Tye. 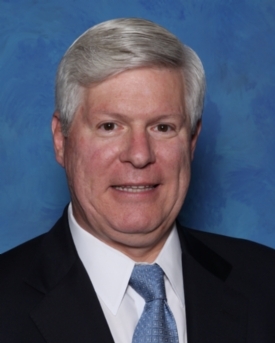 Iona Preparatory Upper School's Business Leaders Club will host former JP Morgan Chase general counsel Travis Epes P'12 on Thursday, April 6, in Room 401 of the D'Urso Conference Center for a discussion on the financial business world. Mr. Epes has been a senior financial literacy teacher at Iona Preparatory for the past three years. 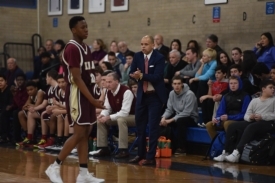 Westchester’s only all-boys K-12 Catholic institution to make the “Best Catholic High Schools in New York State” and “Best Private High Schools in New York State” on Niche.com, Iona Preparatory School has named Steve Alvarado of Bedford Hills as its new Varsity Basketball Coach. 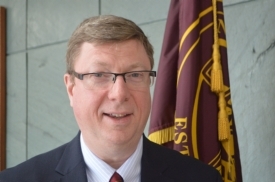 Westchester’s only all-boys Catholic school to make the “Best Catholic High Schools in New York State” and “Best Private High Schools in New York State” on Niche.com, Iona Preparatory has named Kieran Daly as its next Upper School principal. Mr. Daly, whose career has spanned more than 30 years at Iona Prep, currently serves as Dean of Students. 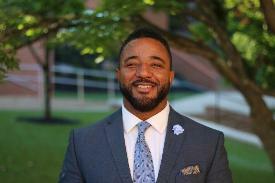 He will become principal effective July 1, 2017. Mr. Daly has also served at the Upper School as a teacher, Dean of Freshman, Science Chair, Assistant Dean of Discipline and Director of Facilities. 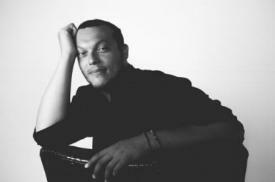 Charif Shanahan US’01 celebrated the publication of his first book of poetry, "Into Each Room We Enter without Knowing," with a reading and signing party in front of an enthusiastic audience at Poets House in Manhattan on March 7. 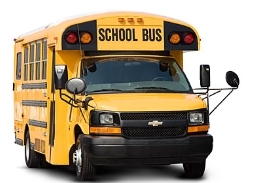 Enrollment for Iona Prep Bus Service to Yonkers, the Bronx, Riverdale, Rye, Yorktown, Connecticut, White Plains, and Crestwood opens on Monday, March 13th. The deadline for bus registration is May 15th. Parents are advised to sign up early as it is expected that some routes will fill up fast. 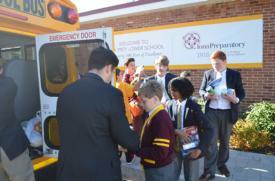 Click on this news item for the link to the Iona Prep Transportation page. The re-enrollment deposit for all returning Upper School underclassmen is due April 15th. Please click on this news item for the document and payment instructions. Registration will take place on Wednesday, March 8th. 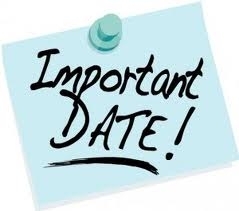 Parents/Guardians-please arrive anytime between 9:00-11:00 AM or 4:00-6:00 PM in Room 401. Please click above for additional information. Students in Mr. Dombrowski's Advanced Placement Biology class traveled to Liberty Science Center in Jersey City, N.J., on Jan. 27 to participate in Live From Cardiac Classroom, where they witnessed a cardiac valve replacement. Having out-shot their rival for most of the night, the second-seeded Iona Prep junior varsity hockey team broke through with just eleven seconds to go in sudden-death overtime against the Fordham Prep Rams in a Catholic High School Hockey League (CHSHL) playoff game, recording a 2-1 victory at the E.J. Murray Memorial Skating Center in Yonkers. Two of Iona Prep’s top scholar-athletes signed National Letters of Intent, sealing the next step to their academic and athletic careers. 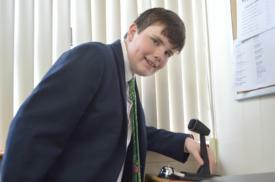 Iona Preparatory Lower School 8th-Grader Connor Breen of Scarsdale saw first-hand what it takes to be a school leader during his time as “Principal for a Day.” The event took place as part of a slate of Catholic Schools Week activities. Connor made announcements, directed hallway traffic and instituted a few special rules for the day, including allowing the boys to chew gum as a reward for their hard work. He also gave out ice cream treats to the students during lunch and announced a “dress down” for the following day. Prospective students and their families are invited to visit Iona Prep’s Lower School (Grades K-8) during Catholic Schools Week this year. The director of admissions, administrators, teachers and students will be available to answer questions and guide parents and students through the application process. Five Iona Prep seniors were recognized by the National Merit Scholarship Corporation’s (NMSC) 2017 program, with Finalists to be named in February. The National Merit® Scholarship Program is an academic competition for recognition and scholarships that began in 1955. High school students enter the National Merit Program by taking the Preliminary SAT/National Merit Scholarship Qualifying Test (PSAT/NMSQT®)—a test which serves as an initial screen of approximately 1.6 million entrants each year—and by meeting published program entry and participation requirements. 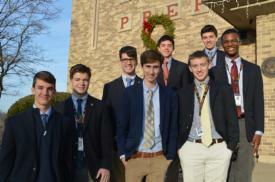 Twelve students at Iona Prep received an early holiday gift—early acceptance to the schools of their choice. The young men utilized the early application process in order to get results one way or the other by the close of 2016. Some 24 percent of the senior class applied Early Decision, while more than 80 percent took advantage of Early Action programs. When the Iona Prep basketball program hosts St. Raymond's on Dec. 23, the games will be about more than bragging rights in this Catholic school showdown. 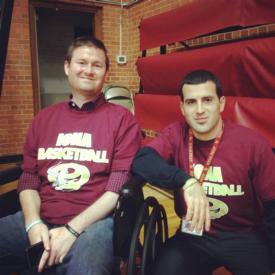 For alumnus and Iona Prep Hall of Famer Patrick Quinn '01, it's about a life lived to the fullest so that others can simply live. 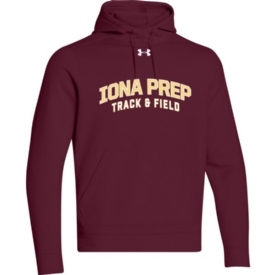 Yes, the season is young, but so are Iona Prep's nationally-ranked members of the indoor track and field team. Following the Tim St. Lawrence Invitational at the New Balance Track and Field Center at the Armory on Dec. 16, Pedro Bravo '20 was the No. 1 freshman in the country in the mile, while sophomore Louis Logsdail '19 was the seventh-ranked sophomore in the pole vault. 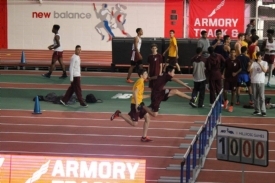 Varsity and freshmen track and field team members opened the indoor season with some quality performances in winning 47 medals at the 67th Annual Catholic High School Athletic Association (CHSAA) Intersectional Relay Carnival at the New Balance Track and Field Center at The Armory! The Varsity Basketball team is now 7-0 to start the season following its 67-57 victory over the Holy Cross Crusaders on Dec. 15. The win kept the Gaels undefeated and No. 1 in The Journal News' power rankings. 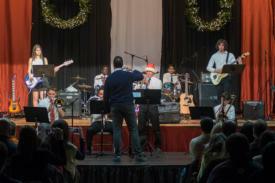 The Iona Preparatory Fine Arts Department will celebrate its annual Winter Arts Night on Tuesday, Dec. 20, with performances by the Jazz and Rock Ensembles, Prep Players and Forensics team, in addition to a showcase of student art. Don't miss a special alumni performance! Admission is free and open to the public. 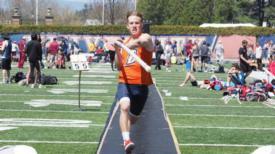 It may be could outside, but our track and field Gaels are heating up the leader boards. Now you can show your support and Gael pride with some swag from our limited-time-only track and field online store! Hurry, as the store closes Dec. 22. 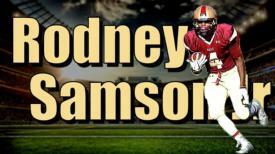 Senior Rodney Samson Jr. had a tremendous season as a running back, but his play at outside linebacker won him the 2016 Defensive Player of the Year Award for the Catholic High School Football League. Two varsity basketball players, juniors Bryce Wills and Josh Alexander, have been selected to the prestigious "Super 7" list by the Journal News, which covers the lower Hudson Valley. Students from the Upper and Lower Schools of Iona Preparatory joined together to deliver three busloads of perishable and non-perishable items to St. Charles Boromeo, St. Mark’s in Harlem, and local food pantries. Part of the offering included a generous donation by Mark D’Urso, class of ’80, formerly of Key Foods, who gave $2,000 to help purchase items including 40 turkeys, 150 lbs. of potatoes, 150 lbs. of onions, and 100 lbs. of rice. Click on this news article for the link to register. We look forward to seeing you. All season long, the Iona Prep varsity football team and first-year head coach Joseph Spagnolo US'98 have been workman-like about returning their program to Catholic High School Football League (CHSFL) prominence. 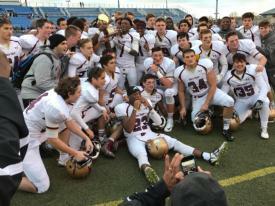 The Gaels took a very big step on Nov. 19, doubling up Holy Trinity, 35-14, to take home the Class AA title. 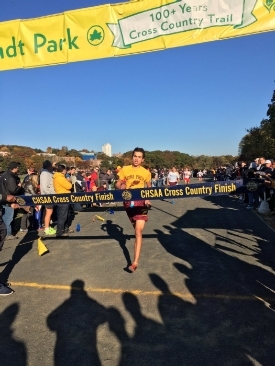 Freshman Pedro Bravo ran one of the greatest races in Prep history on Nov. 12 at the 90th Annual Catholic Intersectional Varsity State Championships, setting a new Catholic high school freshman record for the 2.5-mile Van Cortlandt Park course.